How cool would it be to build a giant kite, or glider and build a digital projection system into it so it could project onto the kite material? Assuming you built it correctly I’m sure you wouldn’t have the same legal a federal restriction on flying, and you wouldn’t have to worry about gas and or fuel. 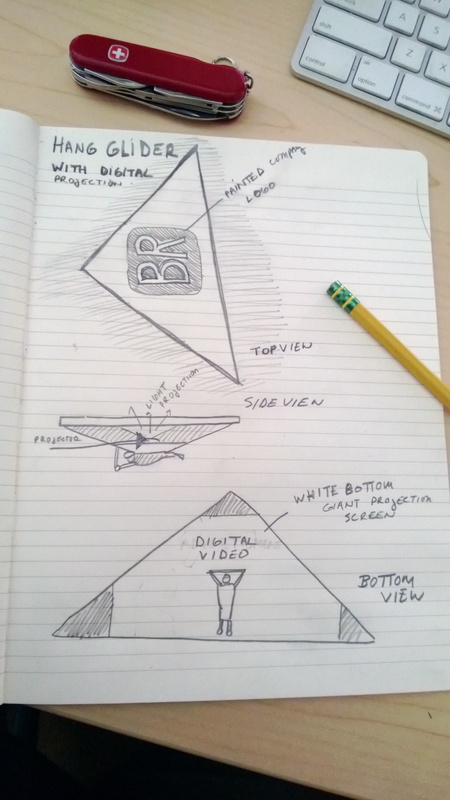 The digital projector, could be strapped right behind the person steering the glider or just mounted to the kite in a way that it had distance to project onto the surface with some sort of fish eye, widescreen projection lens. You could use something like this at Rock Concerts, Fireworks or…. just to see if your geekyness could do it.